As expected, Power Ledger is nicely breaking higher, so it should be bullish confirmed now. 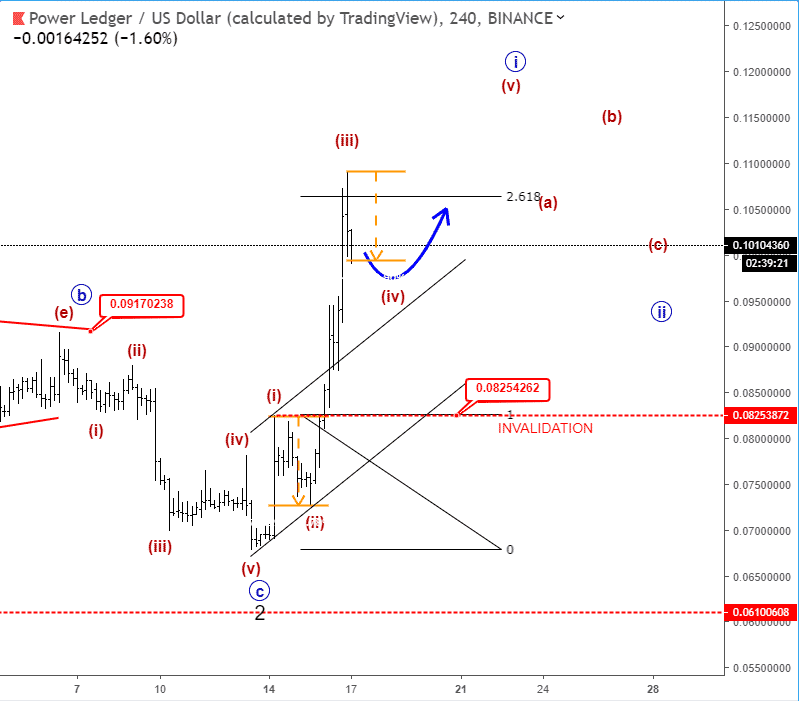 It can be trading within wave 3 and looking at the daily chart, there’s room for more upside towards 0.15-0.17 area. On the 4-hour chart we can see a five-wave rally into a blue wave »i« of a higher degree in progress, so be aware of more upside, but watch out for intraday corrections. 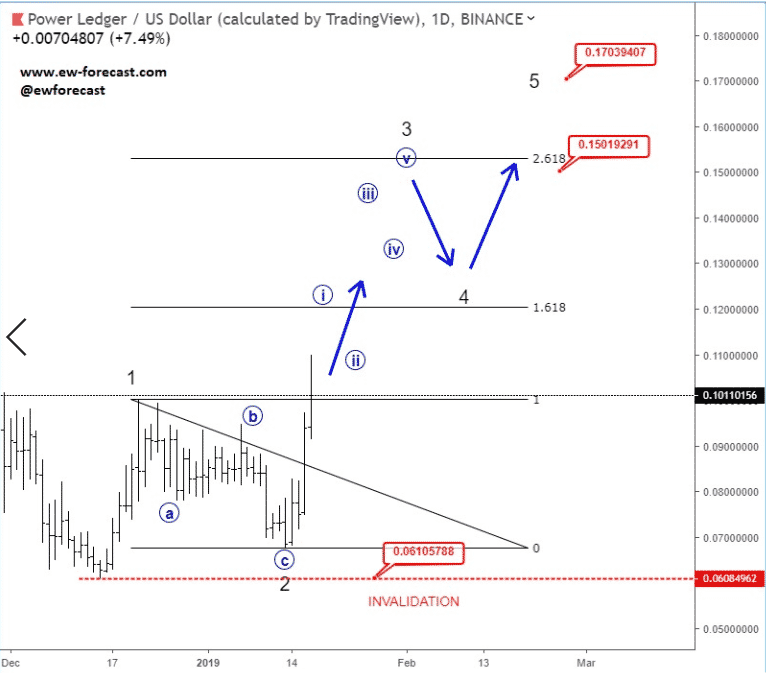 We remain bullish as long as price keeps trading above 0.061 invalidation area.